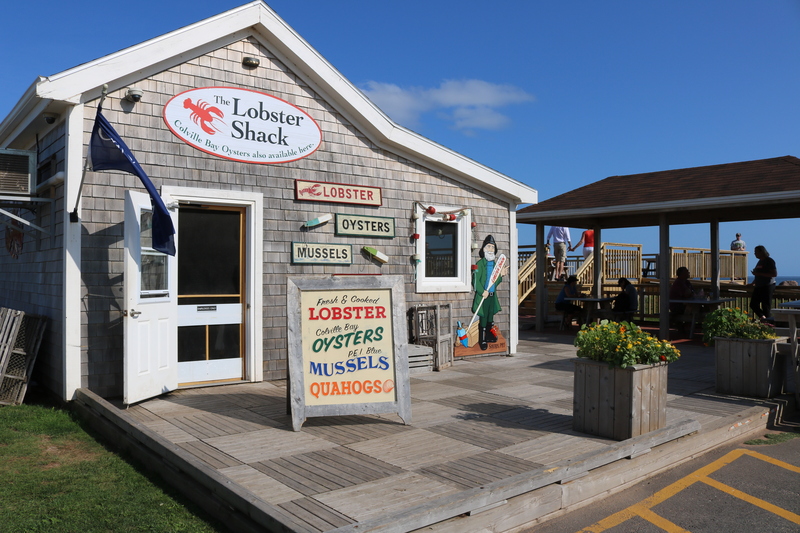 PEI's Best Fresh Seafood Takeout! 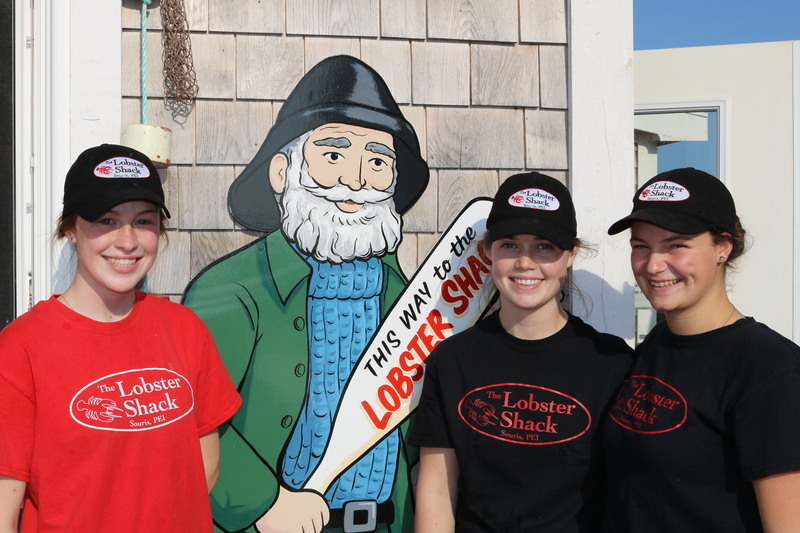 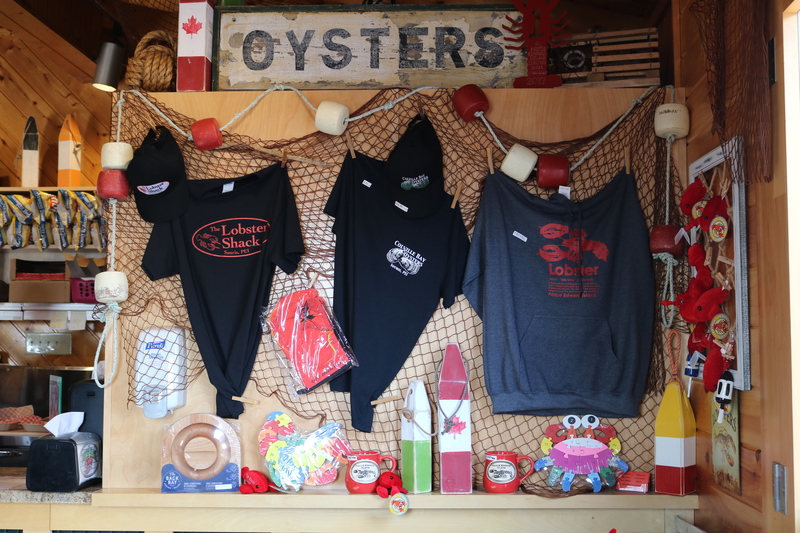 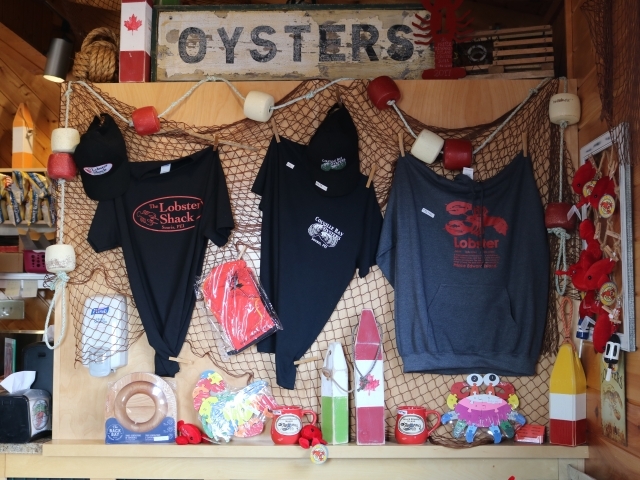 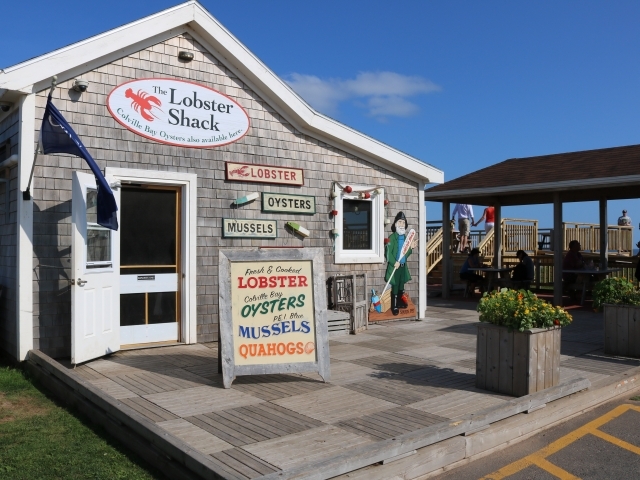 Visit The Lobster Shack in Souris. 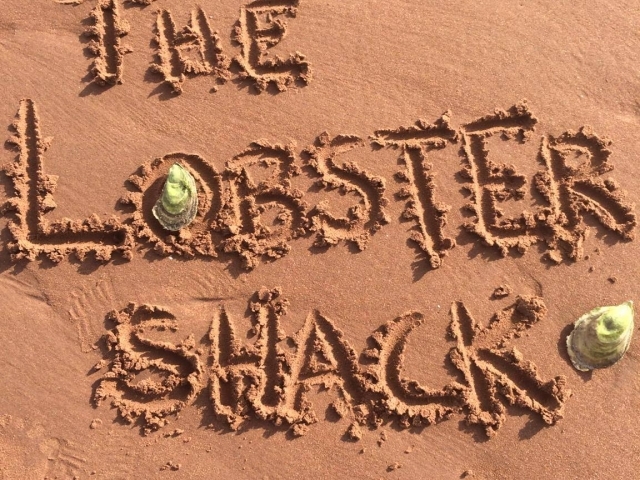 PEI’s best fresh seafood takeout! 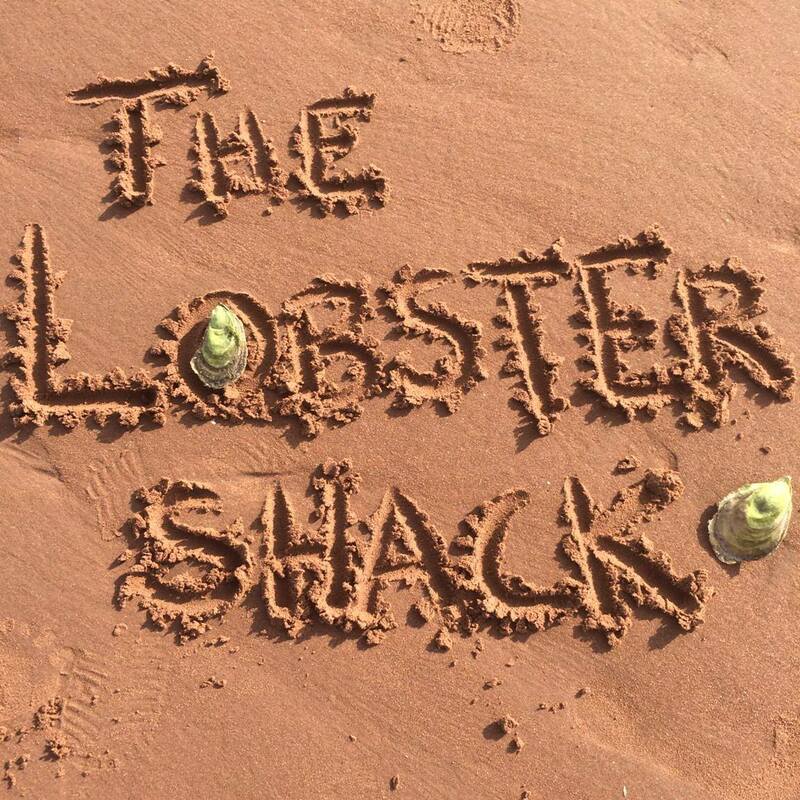 We are located in a “shack” on Souris Beach. 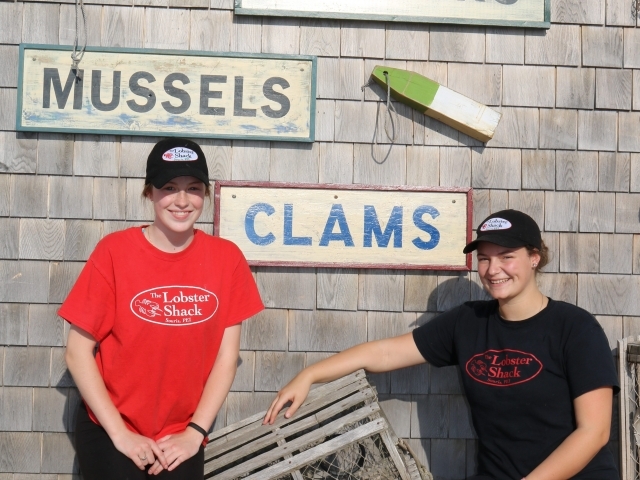 We are part takeout and part seafood retail. 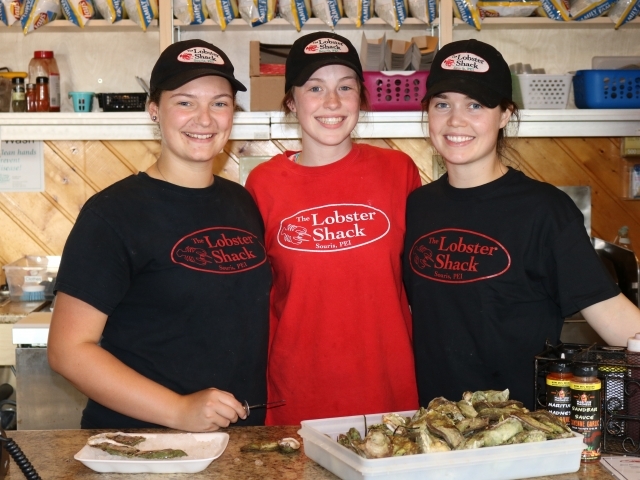 We specialize in fresh and cooked Island lobster and Colville Bay Oysters. 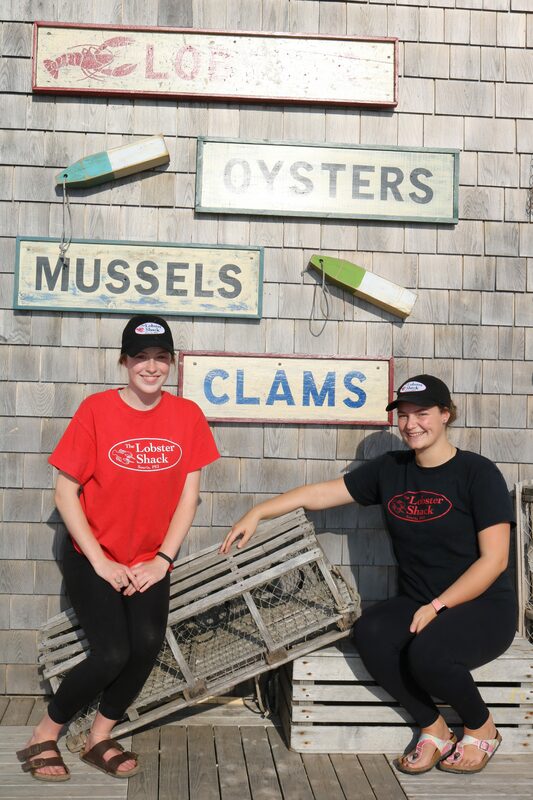 We serve lobster rolls, lobster platters and shucked oysters. 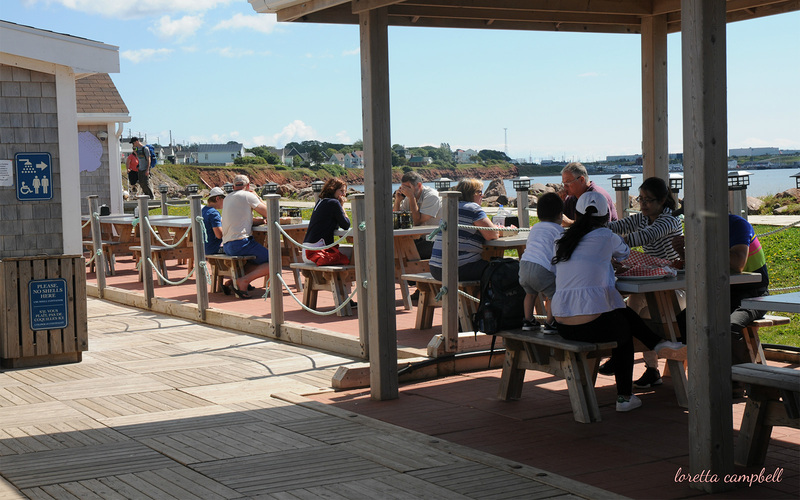 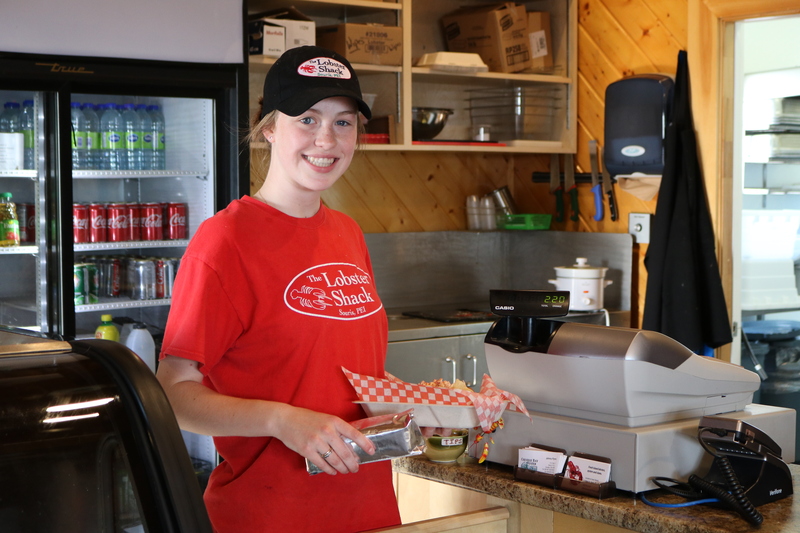 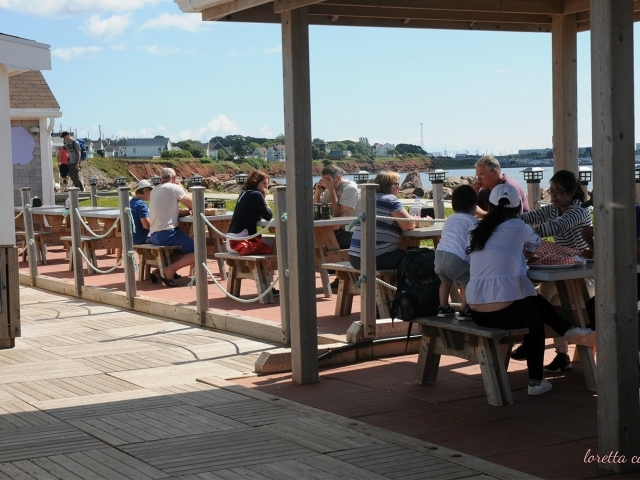 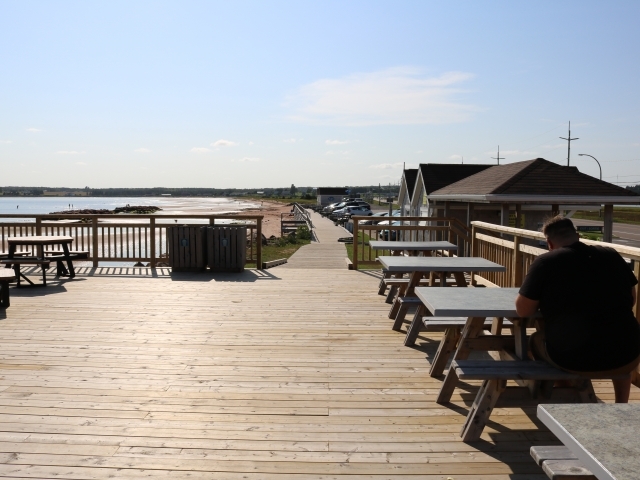 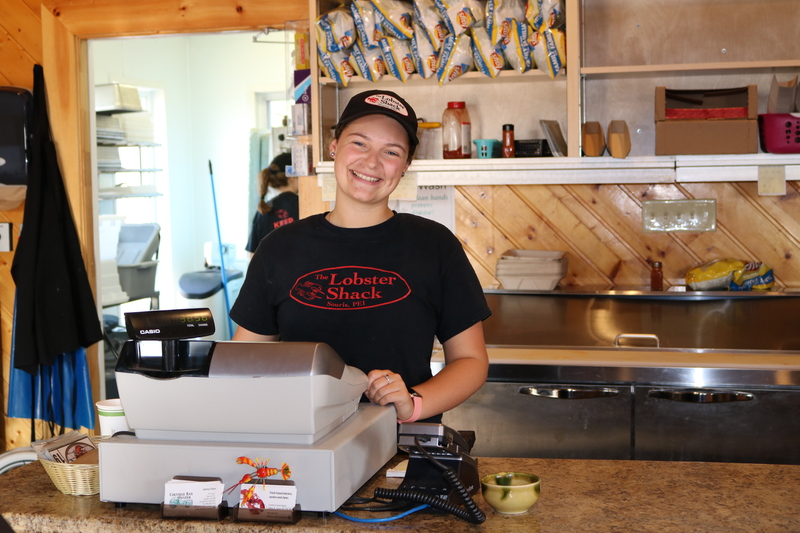 We are a fresh seafood takeout, with many picnic tables on the boardwalk, where you can enjoy the gorgeous view overlooking Souris Beach and Colville Bay, or if you are more adventurous have a picnic on the beach. 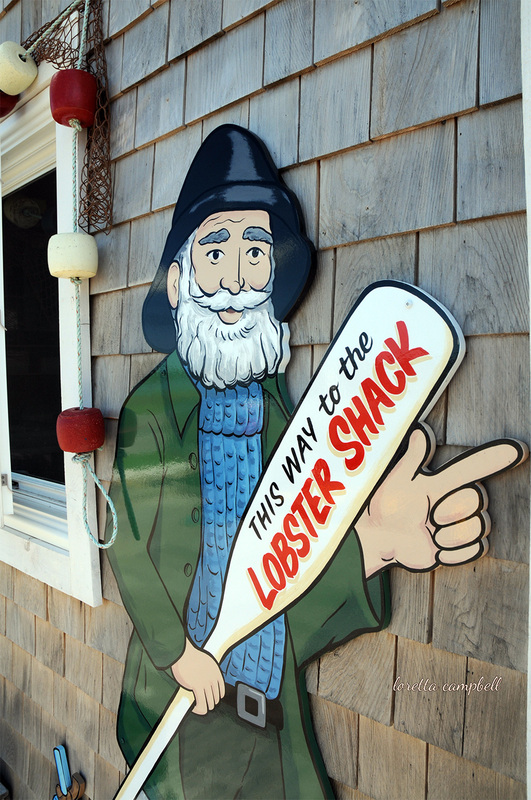 Unfortunately, we can’t take reservations. 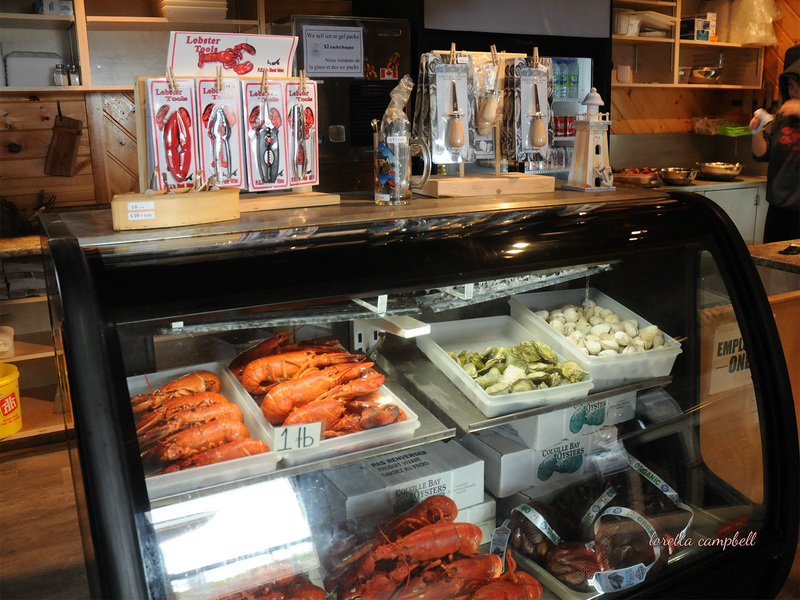 Our seafood retail shop sells a variety of fresh local seafood. 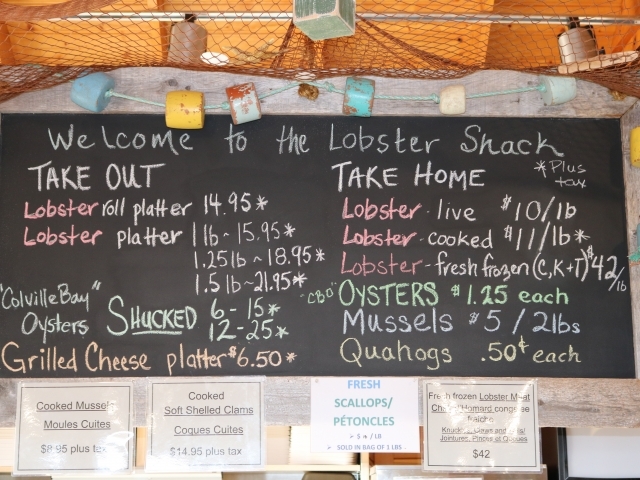 Such as Island, hard-shelled lobster (cooked fresh daily or live), Colville Bay Oysters, quahogs (a hard-shelled clam), Island Blue mussels, and other seafood depending on availability. 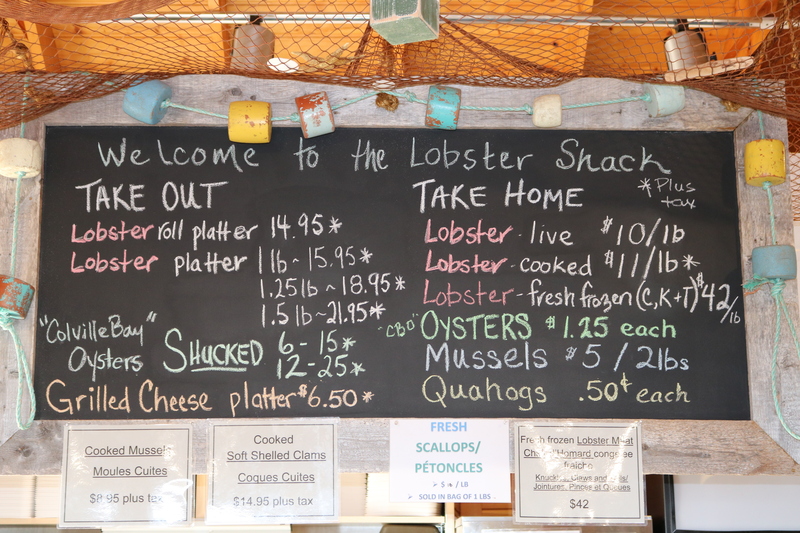 We also pack to travel for a small additional charge. 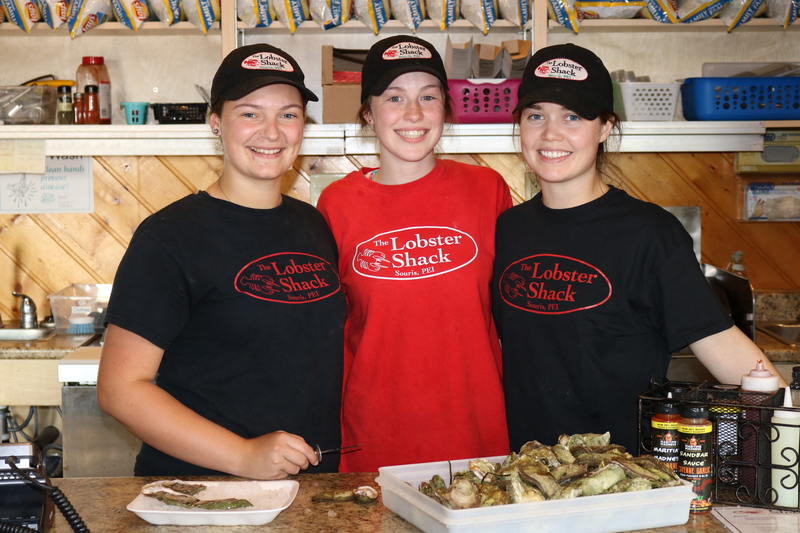 For larger orders of lobster and oysters, please call us at 902-743-3347 so we can make sure we have it ready. 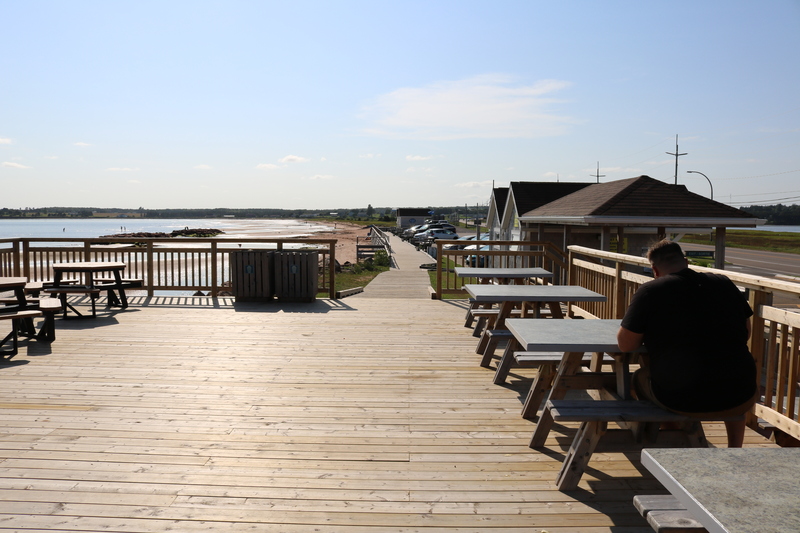 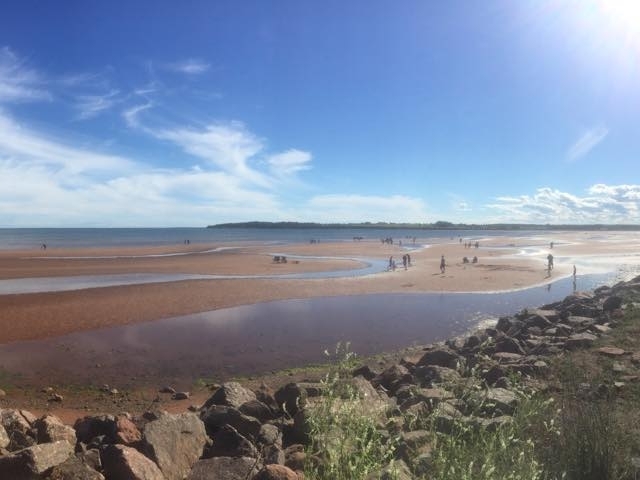 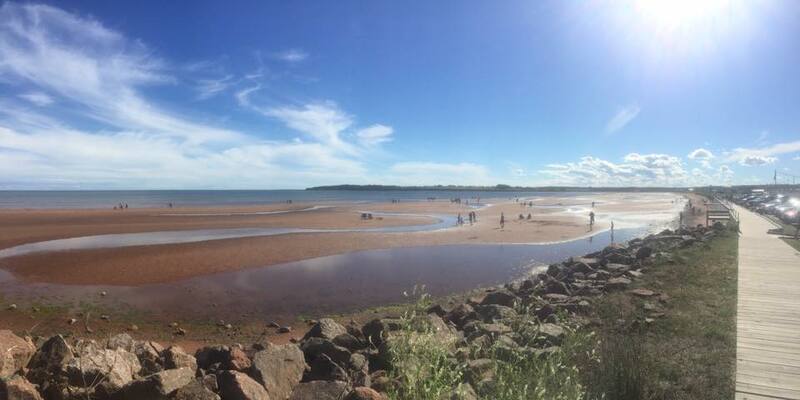 We are located at 8 Main Street – on the boardwalk on Souris Beach, Souris, Prince Edward Island. 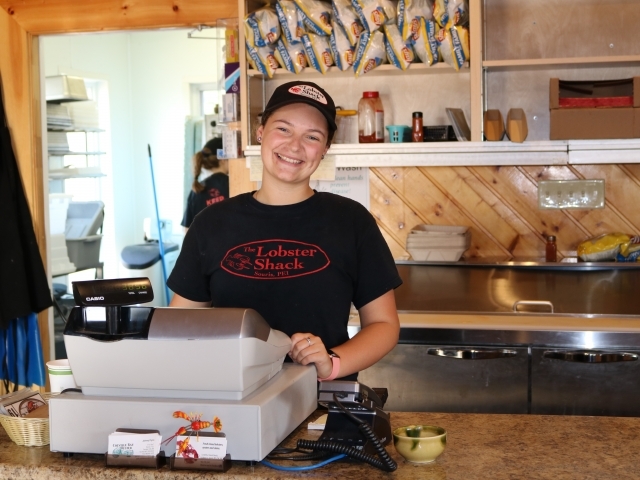 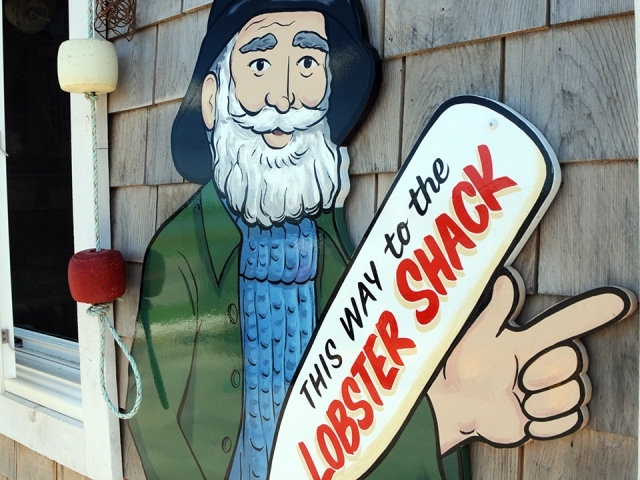 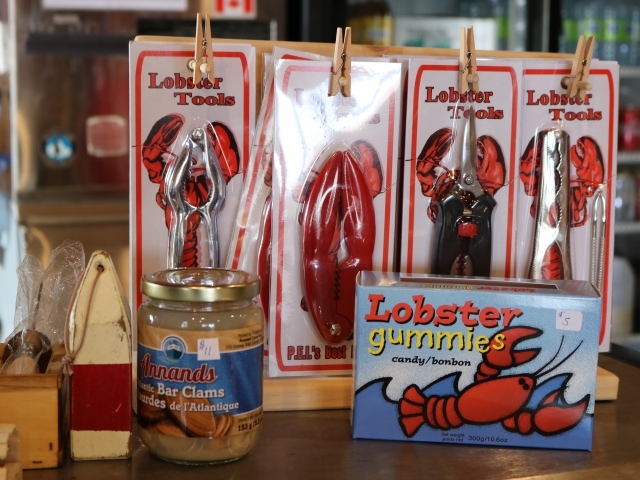 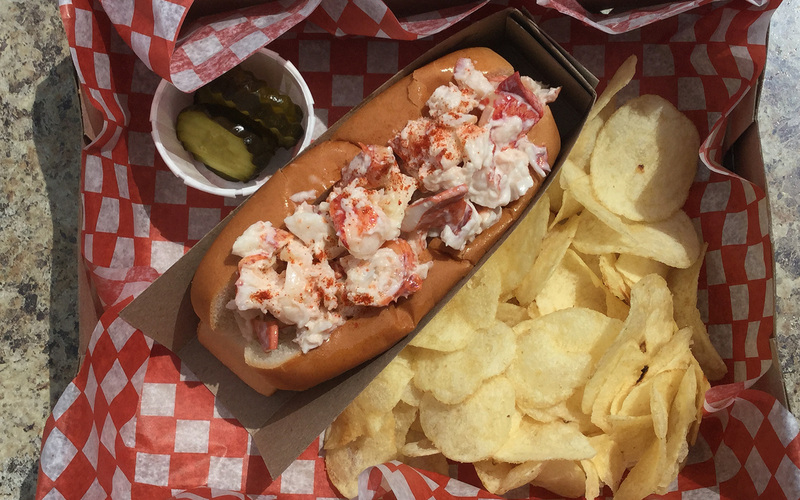 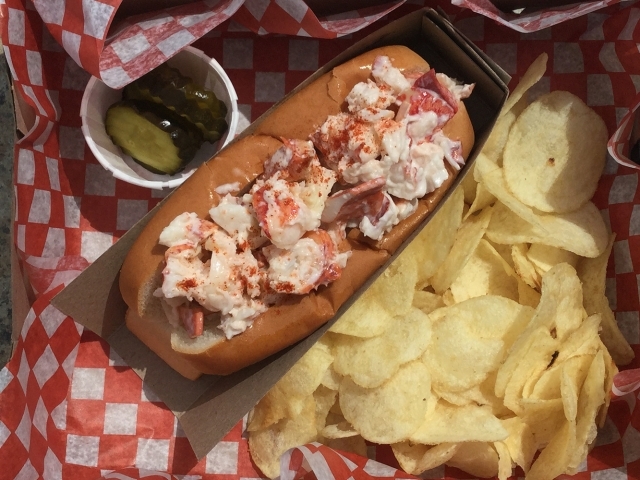 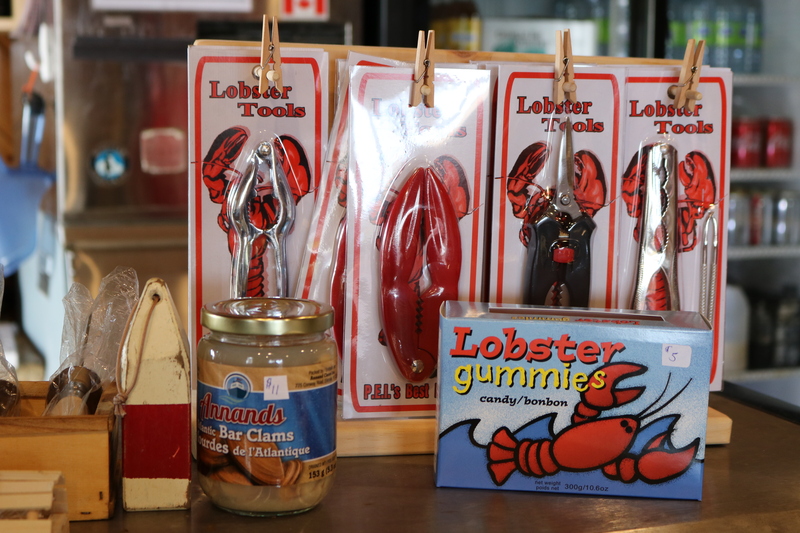 We are open seven days a week at 10 am from mid-June to mid Sept.
4 ounces of fresh lobster meat mixed with a small amount of mayonnaise, served in a roll grilled with butter, accompanied by a serving of Lays chips and sweet pickles. 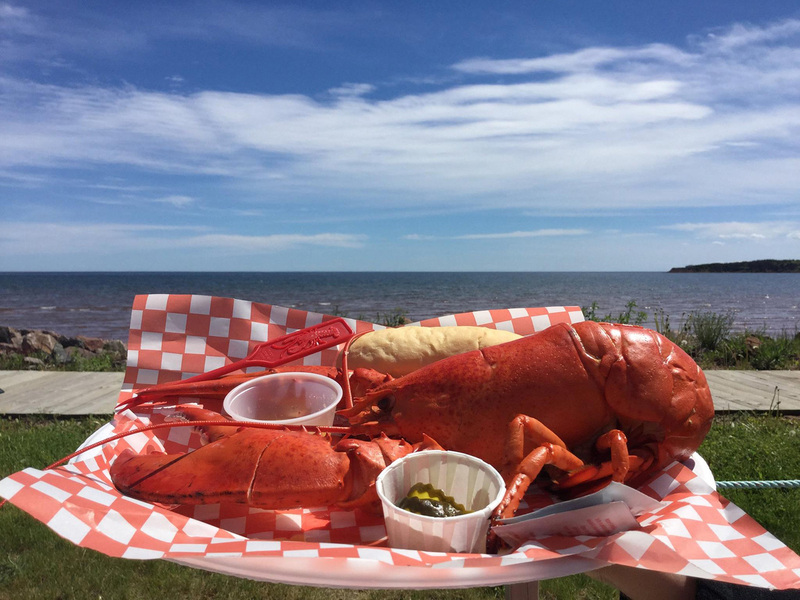 Cold cooked lobster, cracked and served in the shell, accompanied by a roll, melted butter, sweet pickles and a wipe and pick to get the job done. 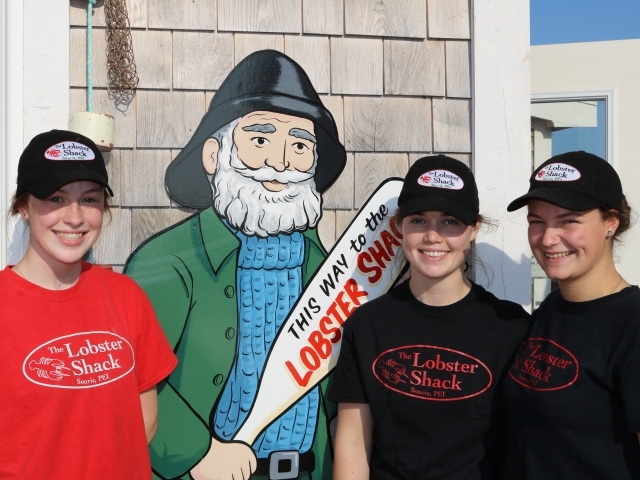 We serve three different sizes, 1, 1.25 and 1.5 lbs lobsters. 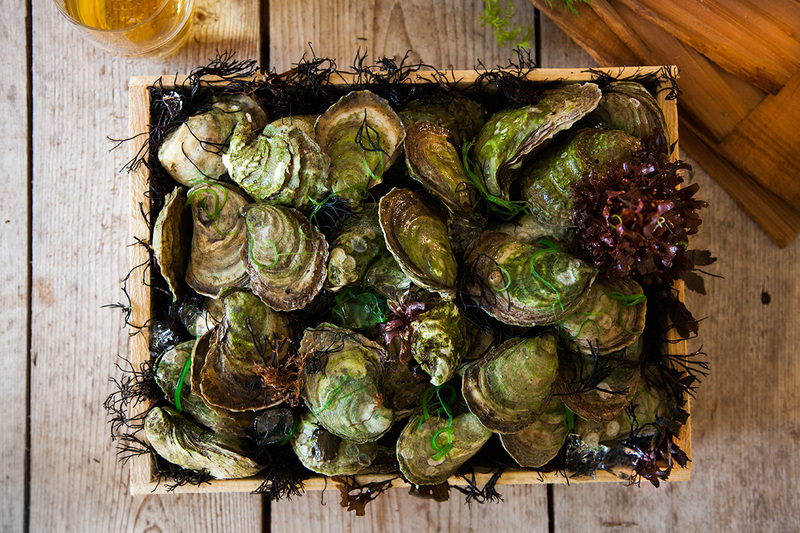 We shuck 6 or 12 oysters, presented on a bed of ice. 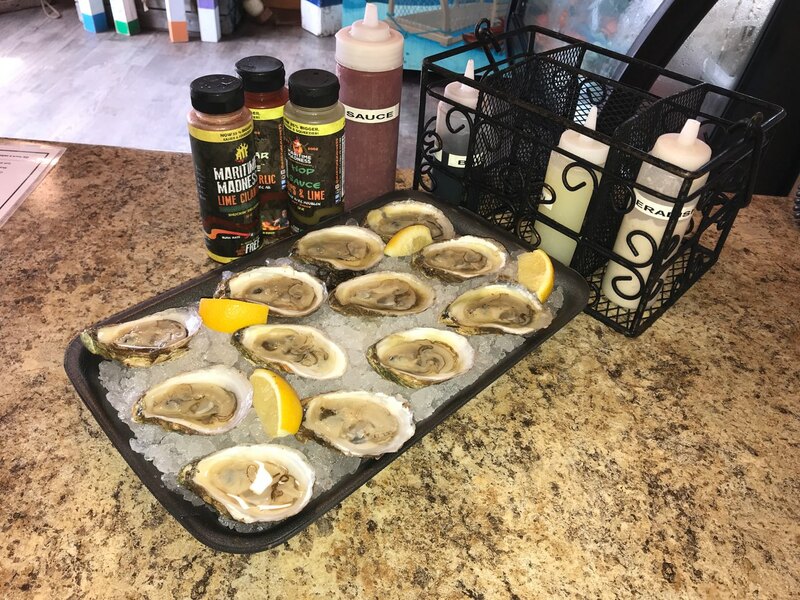 We also offer a variety of sauces to accompany the oysters. 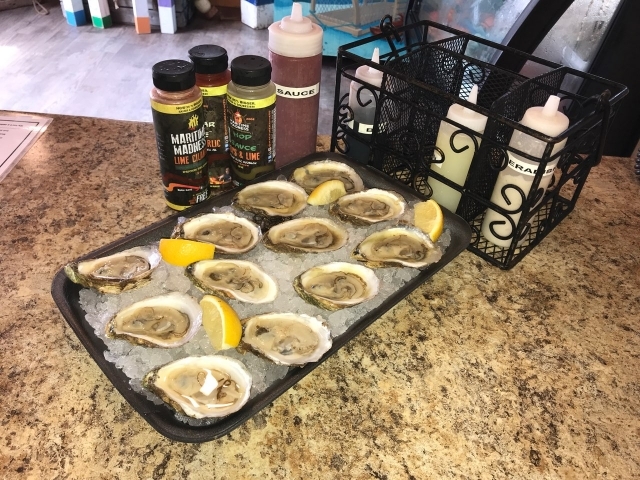 Our hot sauce is a local product from Maritime Madness. 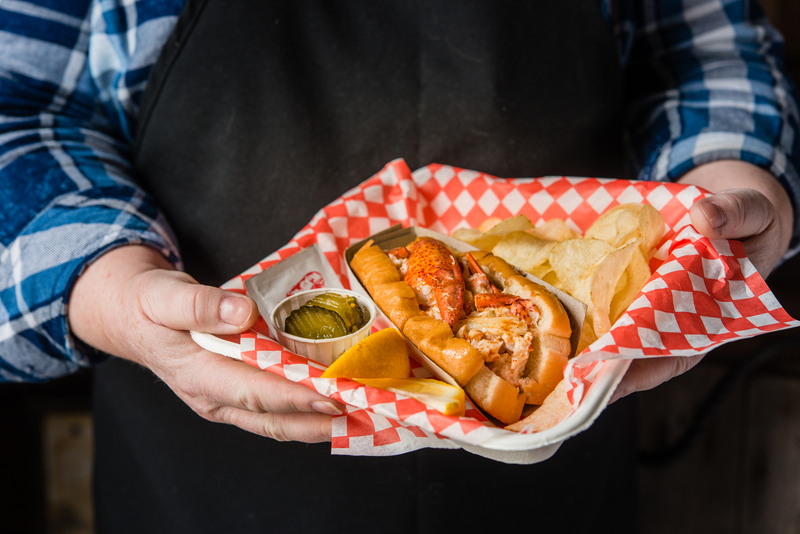 For the non-seafood lover we offer a grilled cheese, accompanied by a serving of Lays chips and sweet pickles.